Whether it’s for anxiety, stress, or depression, we all have a standard idea of what therapy is supposed to look like. One person sits with a pen and paper and asks questions, while the other sits opposite and talks a lot about his or her life. What you certainly don’t expect is to have electrodes placed on your head and watch TV. Neurofeedback is so different from mainstream therapy methods that people are understandably skeptical or apprehensive when they first hear about it and ask questions like ‘Does it hurt?’, ‘Will I get an electric shock?’, or ‘How will I know if it is working?’. So, what is Neurofeedback really, and how does it work? The first thing that happens in Neurofeedback is that electrodes are placed onto your scalp with some EEG (electroencephalogram) paste in between. That may sound scary, but the electrodes are just there as sensors to pick up electrical activity in your brain. No voltage or current is applied from outside and the whole process is comfortable and non-invasive. In the next step, your brainwaves are transmitted to a computer which processes them and shows you a visual representation. While you are watching this movie, your brain works subconsciously with the software giving itself feedback on how well it is doing. As you progress, we adjust the placement of the sensors and the rewards settings, gradually increasing the level you are working at, just like the way you gradually train your other muscles at the gym. 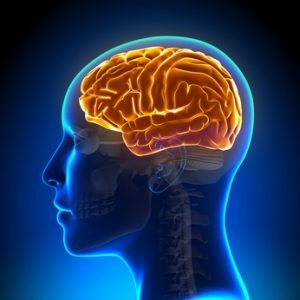 Each person’s brain is unique, with its own range of strengths and weaknesses, and a certain capacity to change and develop. If you want to exercise your brain through Neurofeedback, then it’s important to have a qualified professional as your trainer. How often should you do Neurofeedback? Typically, Neurofeedback sessions happen twice a week and last for about 45 minutes. As with physical exercise, improvements are gradual and cumulative. You shouldn’t start expecting a quick fix for your problems, but when the changes come they are lasting and profound. Again, like physical exercise, the process, though slow, is an enjoyable one. Sessions are relaxing and you get the familiar sense of achievement and satisfaction as you see your mental habits become gradually more effective. Neurofeedback trains your brain without interfering with it directly, so it is completely safe to use it in conjunction with medication. However, as you train your brain, you may find that you no longer need medication or can switch to a lower dose as your brain’s improved ability to regulate itself decreases the need for medication. It’s important to let your Neurofeedback instructor know what medication you are using and to keep your prescribing psychiatrist informed about Neurofeedback and any other forms of therapy you are using. If you are interested in Neurofeedback and living in Los Angeles or the surrounding area, get in touch with Jennifer Willemsen to find out more. You can call or use the contact form.